The Speed Cup is an individual challenge for everyone and which takes place every evening at midnight in July-August. It lasts 1 hour approximatively; you don’t even have time to think. 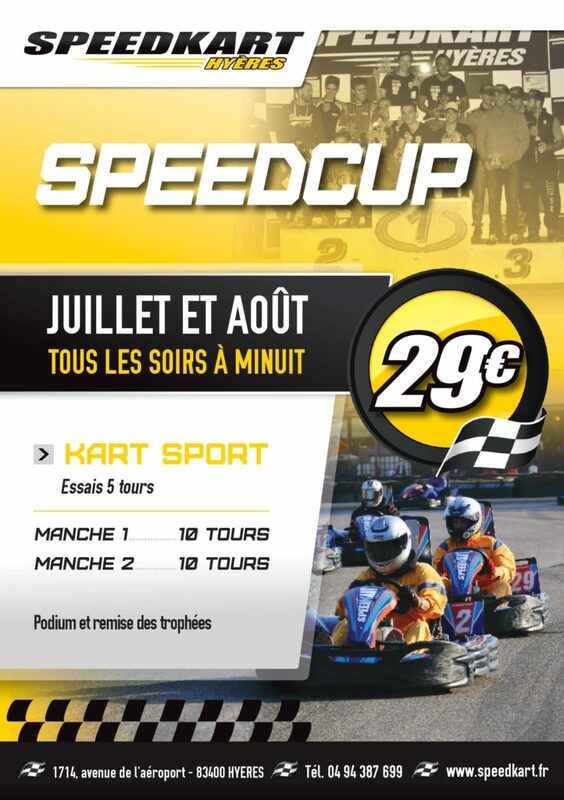 – You’ll use big engins call “Karts SPORT” 320cm3, the most powerfull engins on the parc. – The race take place on 700m Track, seven corner for do the difference ! 1st time: PRACTICE SESSION, 5 laps to make the best time ! Then at the end of this practice session your best time determine the departure of the first round. 2nd time: 1st ROUND for 10 laps ! To do your best on the track, it’s the POSITION who will be importante ! With friends, family and even if you’re alone, you can participate ! Join all the drivers for SpeedCup ! The Speedcup, it’s SO MUCH FUN !